1,000-Year-Old Tradition at Your Printer’s Fingertips. There’s no paper quite like handmade lokta paper. 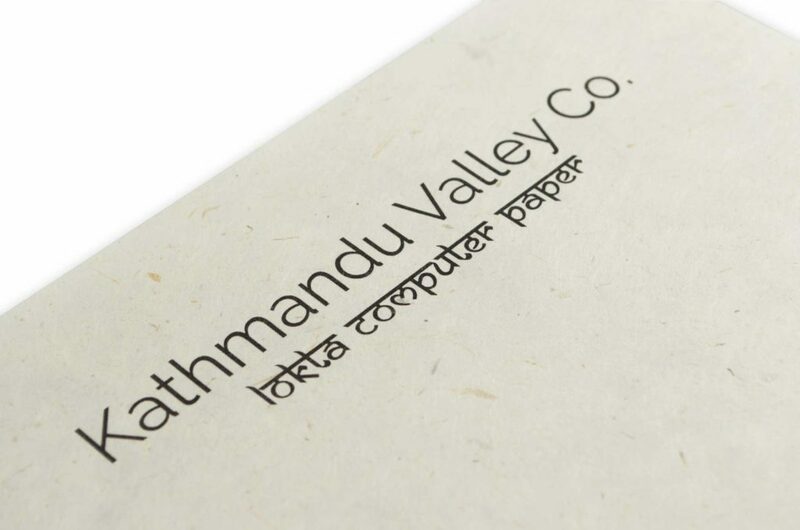 It follows an ancient paper-making tradition in Nepal, and we are proud to introduce our handmade Lokta Natural Laser and Inkjet Computer Printer Paper. The paper is made from 100% Lokta bush fibers harvested from the Lokta bush which grows on the southern slopes of the Himalayan mountains. Nepalese artisans have been making lokta paper for centuries, and now it can be enjoyed as a sustainable non-tree paper alternative. Our paper is made without the harmful chemicals that are used to create bleached-white paper. Lokta computer paper also has a softer feel to it that has been described as fabric paper. The pages contain the natural flecks from the outer bark of the Lokta bush. A thousand-year-old process never looked so good. Printing on Lokta paper makes each page special. Use it for important documents, art or school projects, scrapbooking or origami. The great thing is that each page is one of a kind. When you hold Lokta paper, it feels like you’re holding a manuscript from another era. 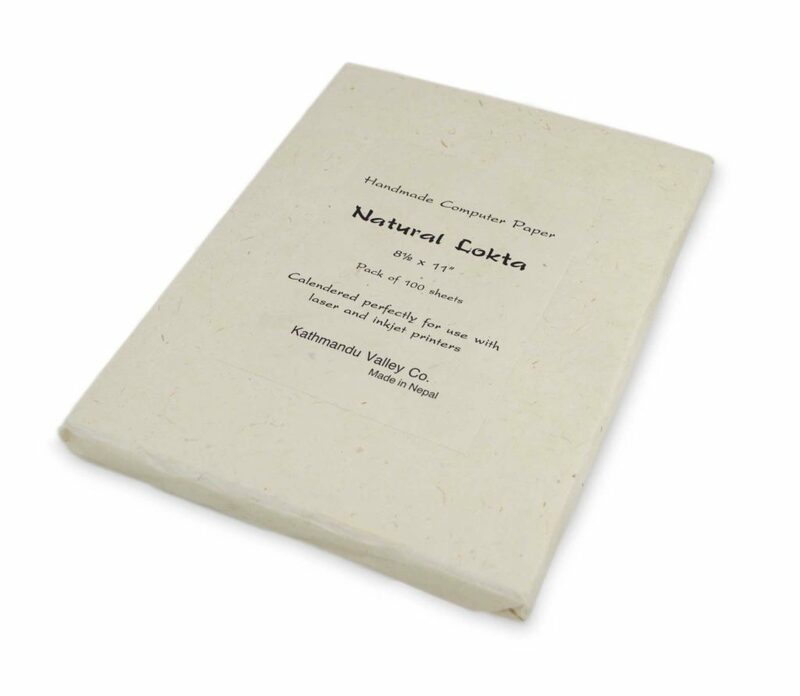 Check out our Natural Lokta Computer Paper.